Over the last several years there’s been a lot of talk about Millennials. This really shouldn’t be all that shocking. At 90 million strong, Millennials are the largest demographic in America. It’s also anticipated that by 2025 Millennials will be the highest-earning generation in history and will be the generation that will turn the entire banking industry upside down. The industry has actually been keeping tabs on this demographic. Back in 2012, Visa released a report entitled, Connecting with the Millennials. In it, it was discovered that a majority of this demographic believed in a cashless future. In fact, eight out of ten millennials reported that they will be able to do all of their shopping and pay their bills online via a mobile phone. More recently, a study conducted by Linkedin and Ipsos found that 32 percent of Millennials envision a cashless society where currency will no longer be needed for transaction. We’re actually seeing this become a reality. One in four millennials carries less than $5 cash on them, and countries like Sweden, Belgium, the Netherlands, France, Canada, and Singapore are actively working towards a cashless society. 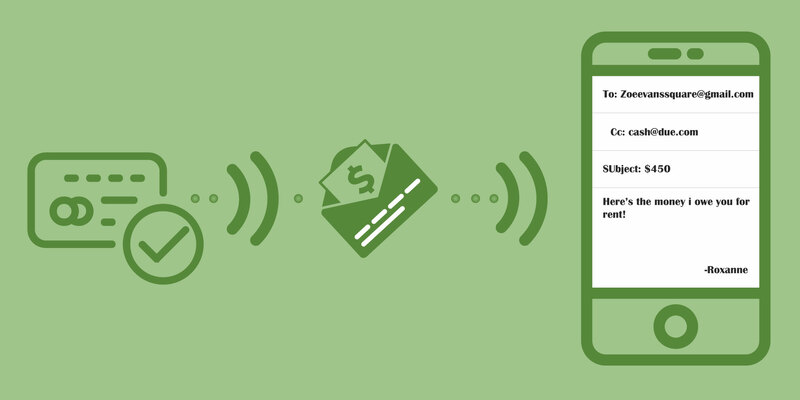 But the question remains; Why are millennials going cashless and embracing digital wallets? One of the main reasons that Millennials are making the switch to a cashless society is because of security concerns. Millennials are also the most mobile (moving around and travel, not the mobile phone). Although the Millennial has the highest mobile phone usage, too. “I’m worried I’ll leave my purse in a cab or hanging on the back of a chair and then I’ll never see that money again,” says Meagan Rhodes, 27, of Albuquerque, New Mexico told NerdWallet. Unlike cash, digital wallets have taken several security measures. This includes everything from biometrics like Apple Pay’s fingerprint ID, two-factor authentication, real-time notifications, and tokenization. This means that all sensitive information is concealed and scrambled. While not 100 percent flawless, the digital cash society is becoming more secure than we have ever been before and it is has become more difficult for a third party to steal data like a credit card number. Digital transactions budget, monitor, and track spending. Around 67 percent of Millennials want digital budgeting features, along with services like mobile payments, mobile banking, and wealth management. In fact, having these types of features where you can budget, monitor, and track your spending are major sticking points for Millennials. Digital wallets give users the ability to check their bank accounts and credit card balances, create budgets, track spending, send money to friends and family, split restaurant tabs, pay for an Uber or Lyft ride, and even pay their bills directly from their mobile device. It’s this convenience that has helped Millennials embrace digital wallets. Besides of the convenience of digital wallets, customers also love the speed of digital transactions. In most cases, they occur in real-time. They also love the fact that it speeds up the time they spend checking out. Instead of waiting for change or inserting card to into an EMV-enabled terminal, which costs them 5 and half hours annually, they can simply scan their phone or wearable device. In fact, at the 2016 edition of Lollapalooza, Lolla Cashless debuted. It used radio frequency identification (or RFID)-enabled wristbands so those festival goers could merely tap on the wristband to pay for food, drinks, and merchandise. This sped up the payment process so that they could catch their favorite performers. You don’t earn rewards with cash. Here’s something else that cash can’t do; customers aren’t able to earn rewards like earning 2 percent cash back on purchases. Digital wallets aren’t just giving the customers the chance to participate in reward programs, they’re making them even more appealing. For example, Samsung Pay gives customers the opportunity to earn loyalty, membership, and gift cards. By using Samsung’s mobile wallet, but also take advantage of Samsung Rewards. The best part? You’ll always earn points when using Samsung Rewards, even if your card doesn’t offer a rewards system. Millennials are demanding digital services. I’ve alluded to this already, but when it comes to their money, Millennials are demanding digital services. This includes mobile banking and real-time notifications. It also includes educational content that helps them build their credit or save for the future. Since Millennials grew up with more technology than previous generations, this shouldn’t come as a surprise. They’re willing to embrace new technology and challenge the status quo if it enhances their lives. A whopping 73 percent of Millennials are more interested in new financial services from Google, Apple, Amazon, PayPal, or Square than from their own nationwide bank. Millennials aren’t just preferring a paperless future. They’re expecting a world where all money is going to be digital. However, we’re not just there just yet. While Millennials are embracing digital wallets, 58 percent of Millennials still want to get paid with cash because there aren’t any transaction fees involved. One in four does use Google Wallet, PayPal, Square Cash, or Venmo to pay friends or get paid. As technology continues to make digital wallets more secure, convenient, and affordable, expect more and more Millennials to go cashless.